Catch up on this new tune from Olamide X Falz X Timaya – Live Life out now! 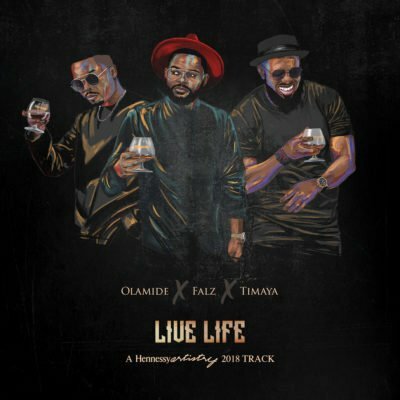 Straight from Hennessey Artistry ambassadors Olamide, Falz and Timaya is this new soundtrack titled ‘Live Life‘. It was produced by Major Bangz. Listen to Olamide X Falz X Timaya – Live Life below. Kindly share and enjoy!